Kaizoku Sentai Gokaiger is the title of Toei Company’s 35th entry in its long-running Super Sentai Series of Japanese tokusatsu television series following Tensou Sentai Goseiger. It premiered on TV Asahi on February 13, 2011, joining Kamen Rider OOO and then Kamen Rider Fourze as a program featured in TV Asahi’s Super Hero Time programming block. The catchphrase for the series is “Let’s make it showy!”. Gokaiger is a special anniversary series. 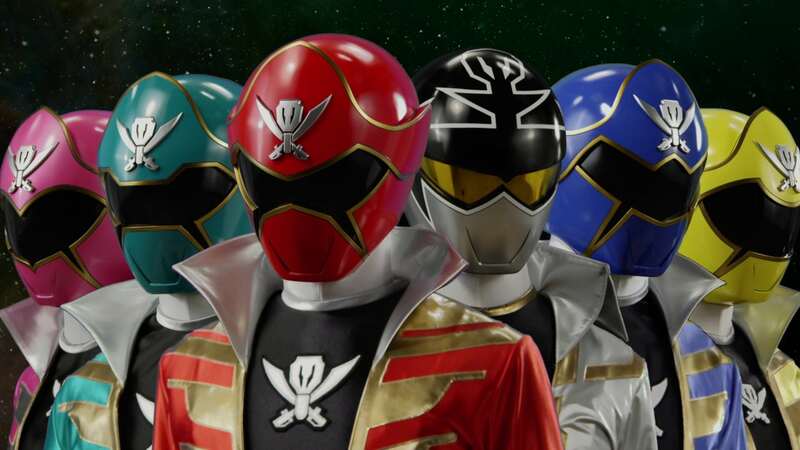 Its protagonists are able to transform into not only their own unique forms, but also all of the previous 34 Super Sentai teams, each of which have their own unique power that the Gokaigers can access. The series also features reappearances of actors reprising their characters from the previous series. On July 30, 2010, Toei applied for trademarks on the title Kaizoku Sentai Gōkaijā to be used on various products. The Japan Patent Office approved these trademarks on August 26, 2010. During the Super Sentai VS Theater programming on December 26, 2010, the series was officially announced in a commercial. A Tokyo Dome City event for the premiere, serving as the introduction of the cast and theme song singers to the public, held on January 29 and 30, 2011.